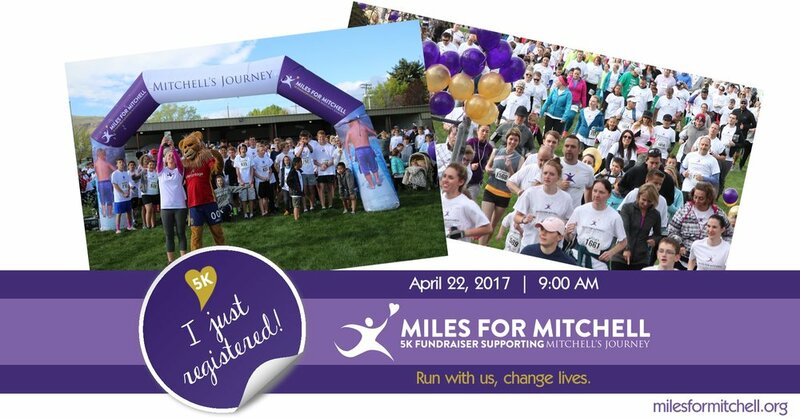 We want as many people as possible to join us in honoring Mitchell Jones at the Miles for Mitchell 5K. Since the registration fees can be a burden on families, we’ve created a special family rate. This rate is only available for those who register as part of a Family Team and is intended to be used by parents and their children. The first step is to create a Family Team. As the creator of the team, you will be the Team Captain. Your running fee is included in the cost to create a team. Select the “Create Family Team” option. You’ll be asked to give your team a name and to set a password for it. This name and password will be needed to register each of your family members. Finish filling out your registration details (including your T-shirt size) and payment information. During the registration process, there will be a page where you can buy extra T-shirts. This is optional. You don’t need to buy them for family members who will be on your team – they will get a T-shirt when they’re registered to join the team. However, you may use this page to buy T-shirts for family and friends who will not be joining you in running the race. Here’s how to add family members to your team. Select the “Join Family Team” option. Select your team from the Team Name dropdown box. Finish filling out the registration details (including T-shirt size) and payment information. During the registration process, there will be a page where you can buy extra T-shirts. This is optional. You get a T-shirt when you register to join a team -- you should be asked for its size on the initial registration page.